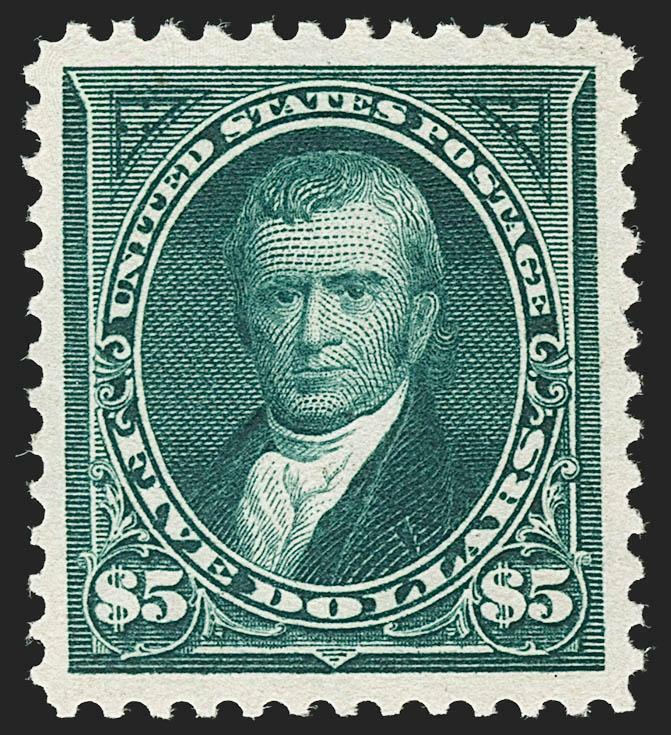 Paradise Valley Stamp Company - Box & Country Lot Sale #F488 - No Buyer's Premium - Free Shipping - April 19, 2019 NO BUYER'S PREMIUM! Our 488th sale with United States, Confederate States and Worldwide singles and collection lots. Canada Semi-Official Air Post collection formed by Michael Rogers including a number of scarce covers and booklets. The US section includes numerous 2-cent Black Jack plate and trial color proofs, a number of other classic issues with certificates, in addition we have US Officials Specimen overprints, Scandinavia incl. very attractive Denmark high-lighted by some very scarce plate varieties, and Iceland with several beautiful singles from the hard-to-find centered issues, Confederate States general issues with a modest offering of stamps and covers highlighted by a mint block of four of the 1862 5c blue, New Zealand from the Southwest collection (marked ex. Southwest) incl. the modern scarce limited edition souvenir sheets. Michael Rogers Online, a Division of Daniel F. Kelleher Auctions, LLC - Internet Auction of US, British and Worldwide Stamps and Postal History - April 21, 2019 Internet sale with over 600 lots of U.S., British and Worldwide stamps and postal history. H.R. Harmer, Inc. - The Richard Frajola Collection of Classic Nepal - April 30, 2019 The Richard Frajola Collection of Classic Nepal is a comprehensive look at the early years of the postal service in this fascinating nation. From the primitive first printing through the introduction of the telegraph decades later, the Frajola Collection features many of the key items of Nepal – in terms of both stamps and postal history. If you are an advanced collector of Nepal we hope that you find something in this catalogue to further your exhibit; if you have never before considered collecting Nepa l we hope that you find this catalogue enlightening. Individual highlights in the sale include: First printing 2a pin-perforated pair and single used on cover, the only known use of this stamp on cover and the only multiple from the first printing of Nepal on cover; First printing 2a imperforate used strip of three with middle stamp inverted; 1a Grey blue on European paper mint block of four, largest known multiple; 1/2a Orange mint lower half-sheet of 32 stamps, the largest known multiple and about a third of the population of this stamp. Vance Auctions Ltd. - Worldwide Internet/Mail Sale - May 8, 2019 Welcome to our May 8th auction. Some of the highlights are: China with strong People's Republic of China; French Offices in China; France with 19th Century classics and Ballon Monte covers; extensive Canada; United States with key items; Br. Commonwealth with good Australia, Gibraltar, and Falkland Islands; German Colonies including high value Kaiser Yachts; worldwide covers, postal history, and postcards; hundreds of larger lots including collections and boxes full. Bidding is in inexpensive Canadian do llars. No Buyer's Premium. Major credit cards accepted. Bids can be submitted via SAN, email, telephone or fax. Bidding information displayed at SAN is updated. For up-to-date opening bids, you can contact us directly by phone (1-877-957-3364 toll-free in North America) or through our web site. Bidding continues until Midnight on Wednesday, May 8, 2019. November 14th, the new record for a single C3a 24¢ Invert Position 49, sold to a SAN Live bidder for $1,350,000 + the buyers commission -- this is 2nd place on the all-time highest prices paid using Live Bidding. The bidder was asked if he wanted to be on the phone, and he said, "No I'm fine with StampAuctionNetwork Live".See the top prices paid by SAN live bidders. June 20, 2018 -- StampAuctionNetwork Agent Bidding was thoroughly test and performed exceptionally. We had 7 bidders participate in the test, They bid on 40 lots in the Siegel International Sale, they won 8 lots, won all the ties, bought lots totalling $14,500, and saved $1,650 at a cost of $145. SAN Agent fees are waived in June, 2018 to anyone who uses the service. You must join StampAuctionNetwork Basic or Extended features at some level (trial, BASIC, Extended, or PowerUser), but that can be as little as $9.95/year. Fees are 1% of the hammer price. June 13, 2018 -- StampAuctionNetwork goes over $1 Billion! (adjusted for currency). With the addition of a number of recent David Feldman SA sales, and the restoration of Shreves Sales 7-39, 151-157, and 161-162 (31,000 lots with PR's of 45 million), StampAuctionNetwork officially crosses the $1 Billion mark in prices realized. No other auction site has this significant a database of prices realized. June 11, 2018. Instructional Videos and Webinars are released at StampAuctionNetwork starting with "StampAuctionNetwork Agent Bidding Explained"
February 23, 2018. Announcing StampAuctionNetwork Extended Features! December 20, 2017. Record Breaking Results. SAN Bidders broke the record for percent of Sales sold for a major sale. Over 83% of Robert A Siegel's sale 1173 sold to SAN bidders, with another 11% of Lots where the SAN bidder was the underbidder. Only 6% of lots sold without SAN competition. June 9th, 2016. Live Bidding results at WSS-NY 2016. Even though the entire world was at WSS, SAN Live bidders who were not at the show brought home great stamps. Live Bidders won $1,059,000 of lots offered by the four auction houses at WSS, and were the underbidders on another $700,000 worth of material, bringing the total impact of SAN live bidders to $1,734,000. Thank you live bidders! May 29, 2016. Live Bidding at World Stamp Show-NY 2016. We are pleased to announce that all of the auctioneers at WSS-NY 2016 will also make their auctions available to StampAuctionNetwork bidders using our live bidding platform on any device. You can bid from anywhere in the world, or even the auction room floor using StampAuctionNetwork's live bidding. April 18th, 2016. Tour de Cure Charity Auction to Benefit the American Diabetes Association. Our 4th annual auction for diabetes was a record breaker! Over $45,000 was raised that will go directly to research efforts to cure diabetes. My ride will be May 14th and 15th. Thanks again to all our auction sponsors who made generous donations of stamps and covers for the auction, and to our collector friends who also made contributions. A special thanks to Daniel Kelleher LLC who at the last minute provided some excellent Asia material which was hotly contested. When the dust had settled, Kelleher was responsible for over $30,000 of the $45,500 total. Paradise Vally and Earl P.L. Apfelbaum also made large contributions. December 31, 2014. Announcing StampAuctionNetwork for Mobile Devices! Just click on the link or go to mStampAuctions.com or StampAuctionMobile.com to use StampAuctionNetwork on any of your mobile devices. The new interface has been in development for a year now, and has been tested by our own StampAuctionNetwork mobile evaluation team, so it is ready for general use. Please send any additional feedback my way! July 10, 2014. The 1st Fantasy Philately! contest is concluded. See the Results! June 26, 2014, a 30c Ultramarine & Carmine, Flags Inverted (121b) sold in the Siegel Rarities of the World to a SAN Live Bidder for $290,000. See the top prices paid by SAN live bidders. May 13, 2014, a few new records for SAN Live Bidders. The C3a 24¢ Invert Position 89, sold to a SAN Live bidder for $230,000. Interestingly, it last sold to a different SAN Live bidder two years earlier for $150,000.See the top prices paid by SAN live bidders. April 1, 2014. The 2nd Annual TourdeCure Charity Auction for the American Diabetes Association realized over $11,000. The autographed copy of Bill Gross's book sold for $775. June 25, 2013, SAN Live Bidders shattered several 6 year records which I did not think would be broken. First the new record for a single lot sold to a live bidder is $1,950,000 breaking the old record of $650,000. The new monthly record is already over $5 million which breaks the previous monthly record of $4.3 million. See the top prices paid by SAN live bidders. June 8, 2013 - Let us do your Searches for you! Manage your Saved Searches and opt in for email notification. Just Login, and pick Search to turn your saved searched into email notifications. You will get matches on your searches via email when the auctions are first posted. May 23rd, 2013 - Language Translation Introduced. Press the "Translate On" button to translate from English to any of several dozen languages, or to translate to English. Please send your comments to tldroege@StampAuctionNetwork.com. March 29, 2013 - A record month at StampAuctionNetwork. 3,931 lots sold to 476 different live bidders for $3,870,432 for the month of March, 2013! March 29, 2013 ** New Records** See the top prices paid by SAN live bidders. January 30, 2013. New Search Features let you pull lots added since a date and then save that data to an excel file. StampAuctionNetwork is on Facebook! Like us! May 4th, 2012. We added some pagination to the search feature to make it easier to use. No limits on results now. Dec 14th, 2011. Non US Live bidders take most of Kelleher Delta Collection. 51% of the sale went to Live Bidders, but the US made up only 10% of that. Most went to Saudia Arabian, Egyptian, and UAE bidders. October 31, 2011 - A record month at StampAuctionNetwork. 2,985 lots sold to 620 different live bidders for $3,851,952 for the month of October, 2011! June, 2007. $650,000 record for a lot sold on the Internet, $3.1 Million, record for a day, $4.3 Million to Live Bidders for the month. October 16, 2011 - Another busy live bidding week. 1534 lots were sold to live bidders totaling $1.3 million and 348 different winning bidders participated in auctions by Siegel, Apfelbaum, and Kelleher. August 19-20, 2011 - a record 171 different live bidders were sucessful in the Spink Shreve's Collector's series sale. June 4-5, 2010 - 137 different Live Bidders took home a record 837 lots totaling $660,000 at the Harmers Sale. March 12, 2010 - A record 154 Live Bidders took home 515 lots totaling $672,635 at Spink Shreve's Collector's series sale. September 13, 2008 - A record 130 Live Bidders took home 796 lots totaling $817,000 at Spink Shreve's Collector's series sale. with over 16,000 Registered Bidders! October 21-24, 2010 - a record 174 different Live Bidders took home a record 1014 lots totaling $576,215 at the Daniel Kelleher Sale. Paradise Valley Stamp Company - French Colonies Auction #C123 - No Buyer's Premium - April 22, 2019 This time we had added some attractive collections which appear in the country collections section in the beginning of the sale. In addition we have added a number of lots from Benin, Tahiti, St. Pierre & Miquelon, Gabon, Diego Suarez, Obock, Somali Coast and New Caledonia. Of special note in this sale is the comprehensive collection of French Colonies General Issues used in the colonies. Collected during a lifetime with the purpose of acquiring one example of each cancel used on as many different issues as possible. A tall task by any means. Numerous scarce markings/usages are abound. The collection is broken down by colony and just a very few stamps have been removed to be offered by as individual lots. Sandafayre Ltd. - Internet/Mail Sale - April 23, 2019 Over 3200 lots on offer from sought after single stamps and sets to exhibition standard collections and even multi-carton sorter lots! Highlights: Australian States - Fabulous Old Time Collection: Exceptional collection offered as many better individual items and a range of substantial single issue or one state collections, including NSW "5s Coin Stamps", Queensland Chalons, South Australia Officials, Victoria Postal Fiscals, Stamp Duty Issues and a valuable Western Australia Collection; Malayan States - Straits Settlements Elusive Victoria & High Value Key Types: Superb collection of mint issues offered as individual items including many elusive mint QV surcharges and high value Ed VII and Geo V stamps, including Fiscally used and Specimen with several substantial balance collections.Also Commonwealth lots, Great Britain lots, European lots – All countries in the world! Cherrystone Auctions - Rare Stamps and Postal History of the World - May 7-8, 2019 Welcome to our May 7-8 Sale, to be held at Cherrystone's New York City galleries. There are 1,642 lots of rare stamps and postal history of the World, featuring further selections from the David Mace collection and properties of numerous vendors and estates sold by their order. A solid selection of United States is followed by Austria, Belgium, France and Colonies, Germany and Colonies, Italy and Colonies, Liechtenstein, Spain and Scandinavian countries. There are strong sections of Czechoslovakia, Poland and Russia. Great Britain and British Commonwealth are well represented with strength in Queen Victoria, KEVII and George V singles and sets, as well as Japanese Occupation material. There are numerous flight covers of the world, with selections of Zeppelin dispatches. Sections of better South America, Asia and the rest of the world are noteworthy, with an award-winning collection of Corrientes offered intact. to see older Prices Realized. Closed Auctions - Prices realized have not been posted for these sales. classicphil GmbH - Just Stamps Public Auction - April 15-17, 2019 We welcome classicphil GmbH to StampAuctionNetwork... click here to bid in their sales. Plumridge & Co - Public Auction Featuring Great Britain, & Commonwealth Singles, Sets & Collections - April 13, 2019 We welcome Plumridge & Co to StampAuctionNetwork... click here to register to bid in their sales. Closed...Unsolds for sale -- Contact the Auction Firm.